The 29-year-old made 57 appearances for Metz between September 2015 and July 2017, scoring a goal in the 2-0 win at Lille in May that kept the club in the league, before he switched to Sparta Prague. "I was ready and did not hesitate to sign once I got the opportunity to come back to help the club," Mandjeck told BBC Sport. "Metz is a family club and deserves to stay in the top division; this is why I chose to return on loan," said Mandjeck, who has no option to make the move permanent. The French league resumes this weekend and Metz remain rooted to the bottom of Ligue 1, despite a 3-0 win over mid-table Strasbourg in December. Born in Douala, Mandjeck began his European professional career at German club Stuttgart, whom he joined from from Douala side Kadji Sports Academy in June 2007. Mandjeck has previous experience of French football with stints at Rennes and Auxerre between 2010 and 2013. He switched to Turkish club Kayseri Erciyesspor in July 2013 and spent two seasons in Turkey before he moved to Metz on 31 August 2015. 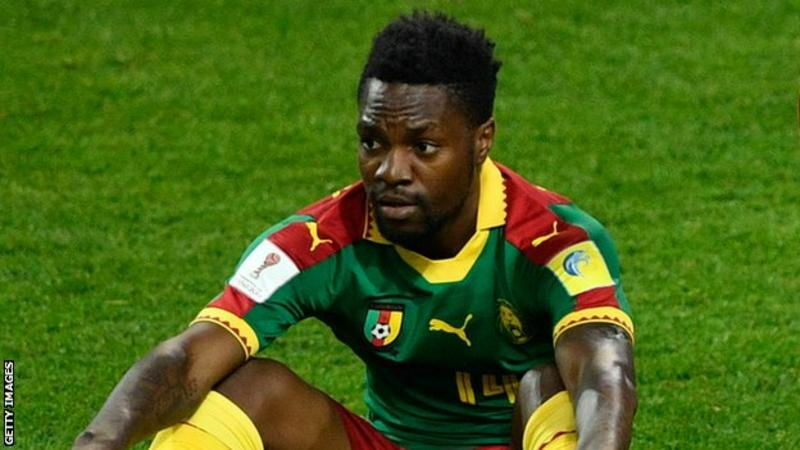 Mandjeck, who has 42 appearances for his country, made five appearances including a late substitute impact as Cameroon won their fifth African Cup of Nations title last year.